The University of Iowa’s vice president for research and economic development has announced he is stepping down this fall. In his announcement, Dan Reed cited a recent health event as contributing to his decision. Dan brought a wealth of knowledge, skill, and passion to the position, making it his mission to highlight and expand the tremendous work of our research community. I’ve appreciated his keen intellect and curiosity, as well as his wise counsel. On behalf of the university, I thank him for his dedicated service, and I look forward to his future contributions. Dan is a former corporate vice president and technology policy leader at Microsoft, founding director of the North Carolina Renaissance Computing Institute, and department head and director of the National Center for Supercomputing Applications at the University of Illinois. He was named the UI’s vice president for research and economic development in 2012. Given the uncertain times for federal research and scholarship support, Dan plans to focus his time and energy on national research and competitiveness policy and on developing new directions in computer and computational science. 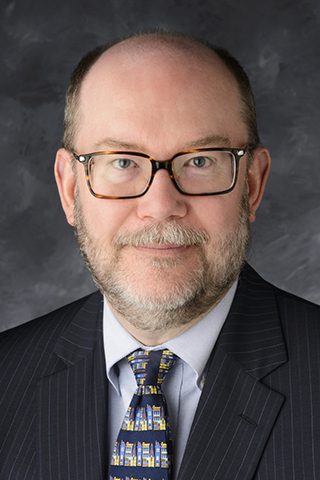 He currently chairs the Department of Energy’s Advanced Scientific Computing Advisory Committee (ASCAC) and the steering committee for the National Science Foundation’s Midwest Big Data Hub, and serves on the National Academies Technical Advisory Board for the Army Research Laboratory. He previously served on the U.S. President’s Council of Advisors on Science and Technology (PCAST), the Federal Communications Commission’s Technical Advisory Committee, and the National Archives Electronic Records Advisory Committee. He has also chaired the board of directors of the Computing Research Association (CRA). I will consult with the UI’s academic leadership team and members of shared governance soon to select an interim vice president for research and economic development.